For those of us who don't remember Shakespeare's Macbeth--here are the Sparknotes (free to read) and just in case I just had to look up Antigone as well (here are the Sparknotes (free to read). Although I did read both of these many times growing up--I simply could not remember. At the start of each chapter is a quote from Macbeth--and one of the main characters was named Antigone--for very good reason as it turns out! This novel set in a very small village in Cyprus where time has stood still. Men still lorded it over the women and could beat them, etc at will. Most of the young people had left this village for larger towns and it was now occupied mostly by ex-patriots (of Britain) and Cyprians. As with any small village secrets were rampant as well as gossips and nosy bodies! 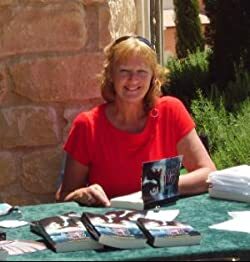 When a much hated man was found murdered by Diana Rivers and her husband--they become embroiled in trying to figure out who really did it--then another is found-an apparent suicide. The twists and turns will keep you guessing--the ending will astound you! The surrounding country side is described so that you will feel that you are there. 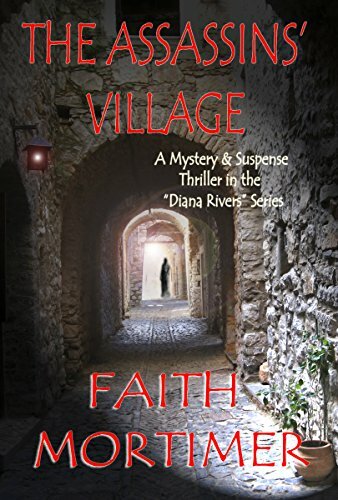 This is not the first Diana Rivers mystery I have read (see below for links to those I have read). I have also read others in her Dark Minds series. I absolutely love this author and highly suggest you start reading one or more of her books NOW! Children of the Plantation #2 in Suspense & Mystery. 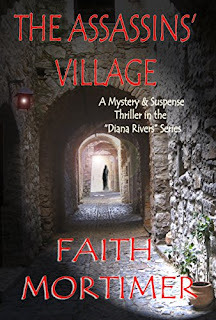 “The Assassins’ Village”introduces, Diana Rivers, writer, sometime actor and amateur sleuth. NB. Although the Diana Rivers mystery suspense murder novels are a 'series', they can be read in any order. When an expatriate theatrical group gather to discuss their next play there will be murder. A blackmailer stalks their picturesque Cypriot village. The group is riven with jealousies, rivalry, sexual tension and illicit affairs. Love, hate, murder and high drama all feature in this classic historical detective story. With a long list of suspects, some dramatic twists and the odd red herring, the reader is left guessing until the final curtain. (Approx 93,000 words). Sounds very interest. I want to know why Antigone was given that name, who murdered the hated man and mostly was the suicide really a suicide? I can't stand how men treated women, shoot some still do. Sounds like an interesting book with lots of twists and turns.